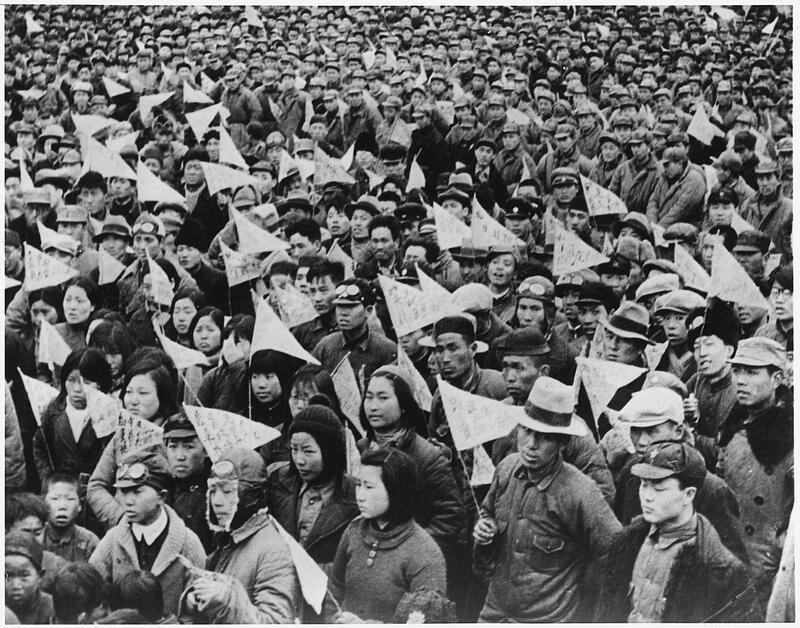 What avenues of purposeful social change were available to China’s leaders in the early part of the twentieth century? This broad question was addressed in strikingly relevant terms in 1937 in a special issue of Pacific Affairs. This is a remarkable volume for anyone interested in China’s twentieth-century history, including contributions by Leonard Hsü, Edgar Snow, and R. H. Tawney. It is striking to read these reflections from the mid-1930s, from the perspective of the realities of China in the early twenty-first century. The origin of the movement may be traced to three factors: China’s contact with the industrial powers of the West and the consequent decline of its rural economy; the proposals of Chinese thinkers and statesmen, beginning with Dr. Sun Yat-sen’s San Min Chu-I (Three Principles of the People) for a planned social development; and, finally, the series of incidents in 1931 and 1932 which brought about a national crisis unparalleled in the previous history of China. This crisis furnished an impulse toward national salvation through reconstruction. It included not only the Japanese military aggression in China, but a great flood in the Yangtze and Huai River valleys, the establishment of the Chinese Soviet Republic in the Yangtze provinces, and the spread of world economic depression to Chinas after the suspension of the gold standard in Great Britain and Japan, and later in the United States. I may, therefore, conclude by saying that rural reconstruction in China, as a social movement, is one phase of a correlated attack, on various technical fronts, on the problem of realizing a planned society. The movement presupposes that if China is to survive, it must modernize its social organization and vastly increase its work- ing efficiency. This in turn means the application of scientific knowledge to community reconstruction from the village unit up. Finally, the application must be a planned process, taking into consideration the social factors of population, resources and technical skill, and making use of the local unit of government as the medium of coordinating and correlating technical services. When the total needs of China are considered, all these efforts are small indeed. There are still almost 220 million hectares that need to be afforested. How much can a million members of co-operatives help, when the farm population exceeds 340 million and the number of farm households exceeds 6o million? In spite of the interest in rural loans of the big banks, one study shows that peasants receive only 2.4 per cent of their financial assistance from the banks, and 97.6 per cent in loans at high interest from landlords and usurers. These points lead to a degree of uncertainty about the potential effectiveness and scope of cumulative small-scale reform programs. However, on balance the decentralized and pluralistic strategy is probably the most convincing pathway to long-term social and economic progress, given what we know about the alternatives. And there are good examples of such a pluralistic process leading to great social progress — greater democracy, improved quality of life, and increasing economic opportunities in all sectors of society. It would be very interesting to see a novelist of the stature of an André Malraux attempting to think through an alternative non-communist history for China. It might have the same gripping power as Malraux’s account of the early experience of the Chinese Revolution in Man’s Fate (La Condition Humaine). Kate Merkel-Hess addresses China’s indigenous alternative to Communist modernization theory in her recent book, The Rural Modern: Reconstructing the Self and State in Republican China. The book is an important contribution to our understanding of how China might have developed differently into the twentieth century and beyond. Several earlier posts have focused on the question of the feasibility of largescale programs of social progress; link, link, link.